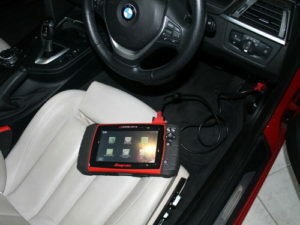 We have the latest diagnostic systems to help determine and resolve engine warning light issues. The engine warning light is there to highlight to you about a problem with your car. It can be a minor issue or something more indepth however it should be checked out imdeidatley because continuing to run your car may cause further damage. Modern car engines are controlled by a computer called the ECU. If there is a problem the ECU saves a fault code and the engine warning light is lit. Using our equipment we can quickly read and identify the problem.